Yesterday, we looked at some data for Eric Cooper and suggested that the AL Wild Card game would likely see a taller-than-average strike zone. That’s pretty much what Cooper ended up calling, so today, let’s go ahead and give Jeff Nelson — who will be behind the plate for tonight’s Cubs/Pirates game — the same treatment. With a left-handed batter up. With a right-handed batter up. Nelson has pretty different zones here, so it’s worth keeping in mind that the zone is likely going to change batter to batter tonight. 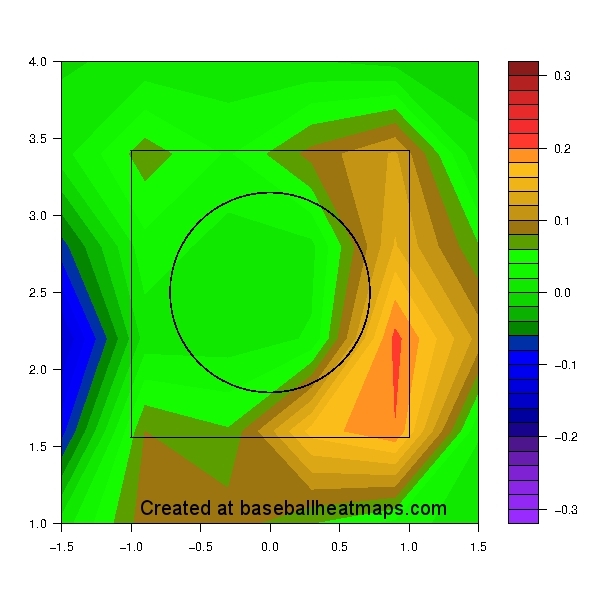 With a lefty at the plate, Nelson is very generous on the inside corner, and has one of the widest zones inside to LH batters of any umpire in baseball. With a right-handed batter at the plate, he’s pretty much league average in and out, but a little more generous than average up in the zone, especially up-and-away. Overall, though, it’s the inside strike to lefties that stands out as his most notable trait. Given that the Cubs are likely to start five left-handed hitters tonight, they’re the ones who will have to be more likely to make some adjustments; especially because the Pirates pitch inside more than almost any other team in MLB. Nelson’s generous inside corner is likely a potential benefit for Gerrit Cole in going after guys like Dexter Fowler and Chris Coghlan, who tend to take a lot of borderline pitches, and might need to be more aggressive on the inner-half tonight. Like last night, expect the zone to favor pitchers a bit tonight, as Nelson is a bit pitcher-friendly with the size of his strike zone. But unlike with Cooper, who calls high and low strikes against everyone, Nelson’s tendencies likely hurt LH batters a bit more, and that might be a small advantage for a Pirates team that leans more to the right side of the plate. 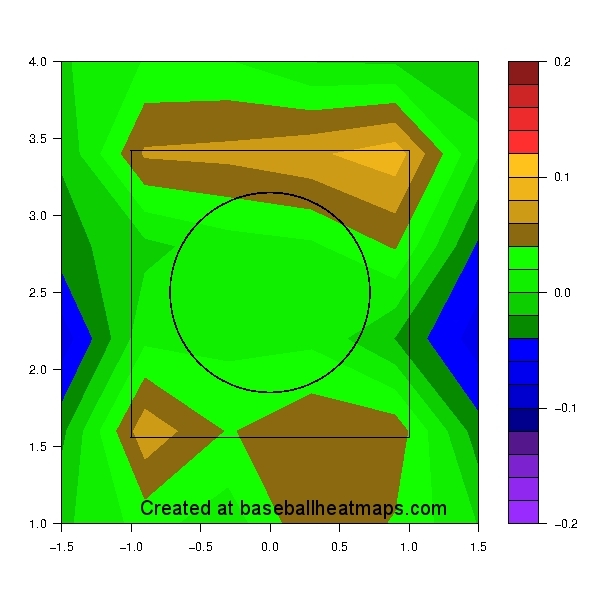 We hoped you liked reading Jeff Nelson’s Strike Zone by Dave Cameron! Well, Chris Coghlan may not have to do anything because he’s on the bench and Tommy La Stella is starting tonight.